I’m a big diesel fanboy, and have owned at least 5 different models from different manufacturers over the last 10 years. Previously we would think of diesels as being a bit noisy and smoky, but I think it’s safe to say that the stigma has long since gone and almost all manufacturers now offer at least one diesel model in their range. I love the raw torque these oil burners deliver, right from the get go, the effortless pulling power and long distance economy derived from the low revving engines. I’m a family man and I drive a bigger car to accommodate the bags, the dog, the camp fridge and the roof box when it’s holiday time. I also don’t like to struggle when I’m fully loaded, so having plenty of power on a road trip is a must. Not so that I can feel like a “big man”, and pull away fast, but if you drive defensively (and we all should) it’s better to have spare power. Sometimes it’s essential to have extra oomph when you’re overtaking to get out of harm’s way. However, whatever your reason for choosing a diesel, I’m sure that like me, you have heard about “chipping” your car to make it more powerful and more economical. Something of a parody I hear you say – more POWER and better economy – surely not? Well, it all depends on how you use that power. But first, before I get to the exact numbers, some details. I looked around and came across quite a few options, but I ended up going with WulfChip as Charl and Neville were quick to respond and offered their experience at a reasonable price. I have also heard good things from a friend who drives an Audi A4 – so I was comfortable with them. I was able to wait for my car, and the whole process took less than 30 minutes. 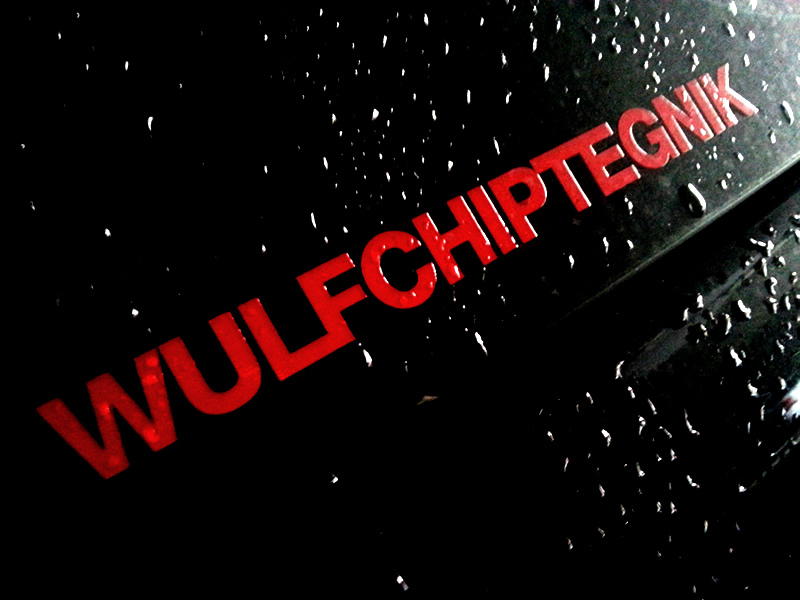 No wires, no boxes, Nevvile didn’t even open the bonnet – just plugged his laptop in, backed up my old factory map and uploaded the new improved WulfChipTegnik map. All this for only R3500 (as of April 2015). Currently, I’m driving a 2010 Jeep Grand Cherokee CRD (it’s actually a Mercedes diesel engine, the exact same one you’ll find in a Mercedes ML320 CDi) that’s capable of delivering 160kW and 510Nm of torque – so a powerful beast! Now that’s a lot of power right there, but the Grand weighs in at over 2.5 tons once you’ve topped it up and added your camping gear and dog – so more power is better – right! My average economy in the city was 12.8 L/100km and on the open road travelling at 110km/h (with dog) was around the 11.8 L/100km. My average economy in the city is now 12.2 L/100km and on the open road travelling at 120km/h (without dog) was around the 10.6 L/100km on a shorter trip. I am yet to do a long distance camping trip but the longer I drive the better the economy on the open road, so long as I do not drive it harder. So how do you get better economy if you also have more power? It’s quite simple really – just pretend you are 20 years older than you are and drive carefully. Yes it’s hard – sometimes really, really hard, but if you use the extra power by pretending that the car is standard and keep your foot light and revs low, then you will see the consumption improve. The only challenge is, your car is so much more responsive that it can be difficult not to give it a little burst. I’m not talking about breaking the law and driving dangerously or speeding, I’m just talking about pulling away a little faster, testing the new power – that kind of thing. However, if you ignore the extra power, you will most definitely have more fuel left in your tank come month end. Maybe. If you consider that currently diesel costs about R12/L and I travel both city and long distances then the following distances need to be covered before I reach break-even. This info is for a 2010 Jeep CRD 3.0 - your Polo TDi will have MUCH better numbers, possibly half. In an average year, most drivers will do about 15,000km - so this is a least a 2 year commitment before you break even with mixed driving. But it has to be said, your car will feel like it has racing stripes and is much nicer to drive, so if you consider the pure enjoyment factor, it’s instantly worth it. Can I chip my car? Pretty much any modern car that has an engine management system can be remapped. If your car has a turbo, then you are most definitely a candidate. If your car is a turbo diesel, then you are in for a treat. All you Volkswagen GTi, Polo TDi, Audi A3, A4 and especially S3 drivers should seriously consider this. Especially if you plan on buying it used, get it done right away and benefit for the whole term that you drive. One of the directors of WulfChip drives a really magnificently 2014 Audi S3 – and I’m told it cranks out a massive 260kW – from a 2.0litre! It’s safe to say with that much power the goal is not to save fuel but to improve performance, but you probably guessed that. When a manufacturer builds an ECU map, they are not trying to get maximum performance out of the car, so they build in a rather large safety margin. All that chipping or remapping does is adjusts things like fuel rail pressure (more fuel) and turbo boost (more turbo pressure) and if you use a reliable chipper, then you should be fine. A normal stage 1 remap is well within the safety margins, and should give you absolutely no issues in the long run. I have a good friend who’s daily drive of 80kms is a Golf 5 GTi with a stage 2 (modified exhaust). He has been driving it for well over 3 years without any issues and his fuel economy is better than standard. And it puts out 190kW! You can take this further by doing a stage 2 remap, or stage 3, but then you are physically changing exhaust systems and upgrading turbos – which is way beyond the scope of this article. You’ll probably be on a race track as an amateur weekend racer if you choose to get that involved. So, over to you. If you drive a turbo charged car, be it petrol or diesel, then you could be driving with a bigger smile on your face.